Vector Printing - Chattanooga's Premier Source for Quality Printing! 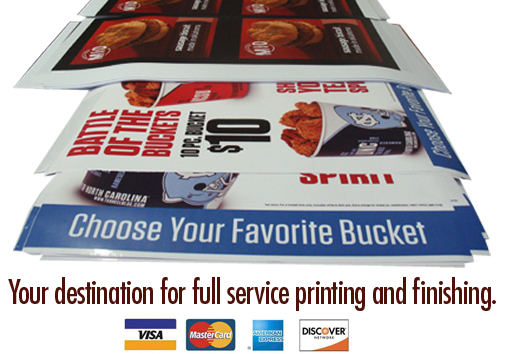 Vector Printing based in Chattanooga, TN offers top-quality large format printing to clients nationwide. With over 40 years combined experience in the printing industry, founders Greg Smith and Mike Schultz have the know-how, equipment and facility to output top-quality digital printing and screen printing to meet the most demanding specifications. We provide full-service, in-house printing and finishing. Our specialties include transit shelter advertising, bus kings, queens and tails, interior cards, kiosks, banners, posters, POP, window clings, and floor graphics. We have produced high-profile pieces for nationally-recognized advertisers, as well as smaller-scale projects for local companies. We would welcome the opportunity to work with you. © 2011 Vector Printing. All Rights Reserved.